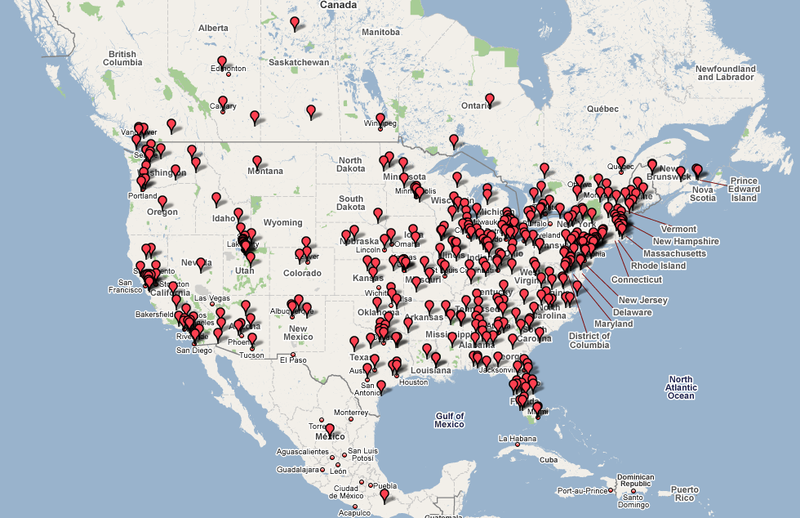 I've finished geotagging blogs for the Who's Blogging Where map. 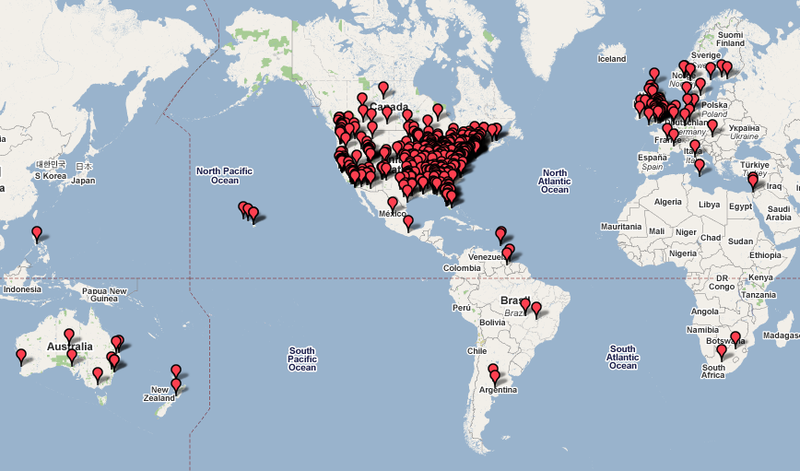 Here's a map showing every tagged blog, and here's one showing just North America. Every state is represented except Alaska (Wyoming bloggers are also scarce, save Isaac Horner of "Southern Wyoming and Northern Utah"), and every Canadian province except Nova Scotia and Newfoundland. The distribution of markers within the U.S. matches up pretty well with population density. The distribution is skewed because of imprecise locations given by many bloggers. Eleven blogs are located in "California" and share one marker on the map, while another seven share a marker in "Southern California." Across the pond, twenty-five "United Kingdom" blogs share a single marker. 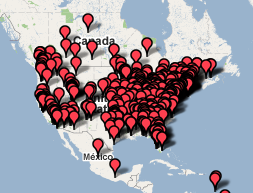 Thanks to all who have sent in their locations, or submitted new websites. I'll be adding ten new blogs to the database later today, and more next week. Update: Okay, I lied. I added forty new blogs this evening. Very cool, Chris. I'm going to update my blog just so I can find out where I am! If you find out, let me know, because I don't have a clue where you are. I am located in Stockton, California. Sheri, I already had your first blog geotagged. Your second is among the roughly 14,000 Graveyard Rabbit blogs I still need to add. Jean-Yves, thanks for giving me a more precise location. Here's another one, Chris. brendadougallmerriman.blogspot.com (Toronto). Lots of us over here in Canada!